Craft beer in North Carolina got off to a slow start. Until 2005, you couldn't sell beer that contained more than 6 percent alcohol by volume. Since lawmakers “popped the cap” and lifted the alcohol limit to 15 percent in August 2005, NC has seen a craft brewery expansion of unprecedented proportions. 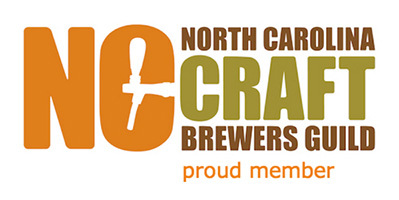 NC currently has one of the fastest growing craft beer industries in the country. Until the fall of 2013, NC law and ABC regulations only allowed breweries to fill growlers, and most breweries only filled their own branded growlers. While some would fill other growlers and affix their own label to it, there was a lot of confusion among breweries about whether or not they could legally fill growlers other than their own. However, in August of 2013, the NC General Assembly passed House Bill 829 by a vote of 87-27, which allows retailers to fill empty growlers for off-premise consumption. According to the new ABC rules, retailers must ensure the growler is no larger than two liters and is clean. They also require a label or tag that includes certain information about the beer and brewery. One year earlier, the North Carolina Brewer's Guild (which represents the interests of local craft breweries) battled the first version of the bill, keeping it from going through. Their primary concerns were around quality control. Craft brewers were engaged in drafting the next version of the bill, and they included some strict sanitation requirements. Once the Guild felt sanitation would be properly managed, they got behind the bill that ultimately became law. A big part of the reason we're counter-pressure filling growlers at The Glass Jug is to support local craft brewers by making sure their beer is sent home without compromising the quality. This is hugely important for craft breweries with a reputation to protect. The Alcoholic Beverage Control Commission accepted proposed language at its meeting Aug. 14, 2013, and temporary rules are now in place. The rules require all growlers to have a label, whether a sticker or a tag, that includes the brewer’s information, the style of beer, the date it was filled, alcohol content (if over 6 percent), and the standard government warning. The rules leave the definition of a growler fairly broad, allowing containers with flip-tops or screw-on lids, refusing only plastic and pouch-like containers. The law does require them to be filled from the bottom with a plastic tube or through the use of counter-pressure fillers, like we have at The Glass Jug. Lastly, the sanitation rules put the onus on the consumers to clean and care for the growler. But don't worry, we'll help you clean your growler with a few basic guidelines.